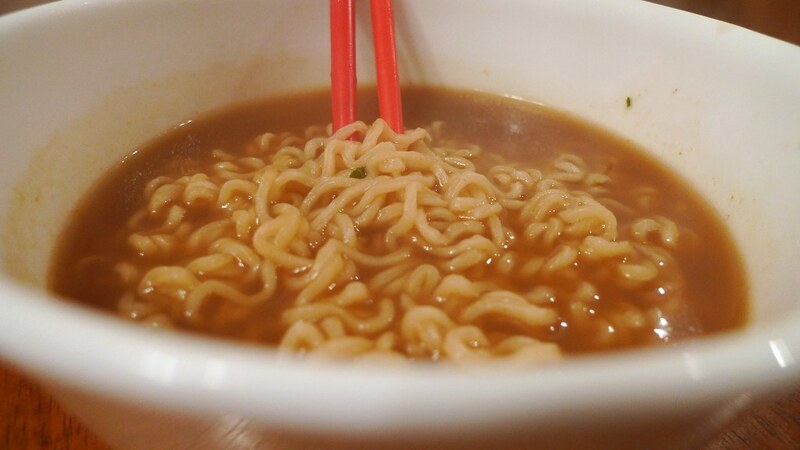 Nissin Top Ramen - beef. For my third review during Top Ramen Week, I'm going from chicken to beef. 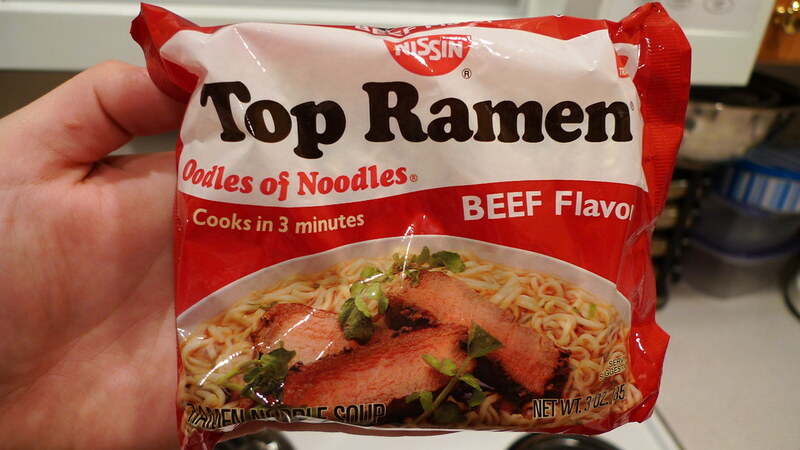 Beef Top Ramen is another popular flavor and a favorite of some people I know. Find out how much I like it and if it beats chicken's score after the jump. 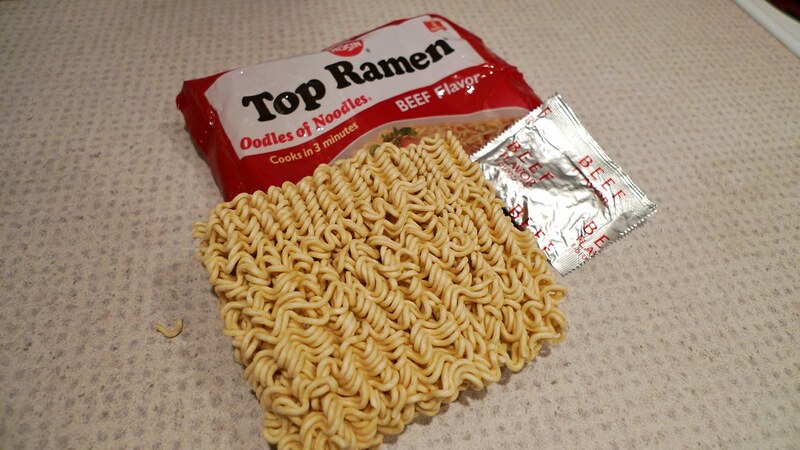 Beef Top Ramen noodles and seasoning packet. When I buy Top Ramen in bulk, the amount of beef packets that I purchase is about the same as the amount of oriental that I get. This foreshadows the score to come. 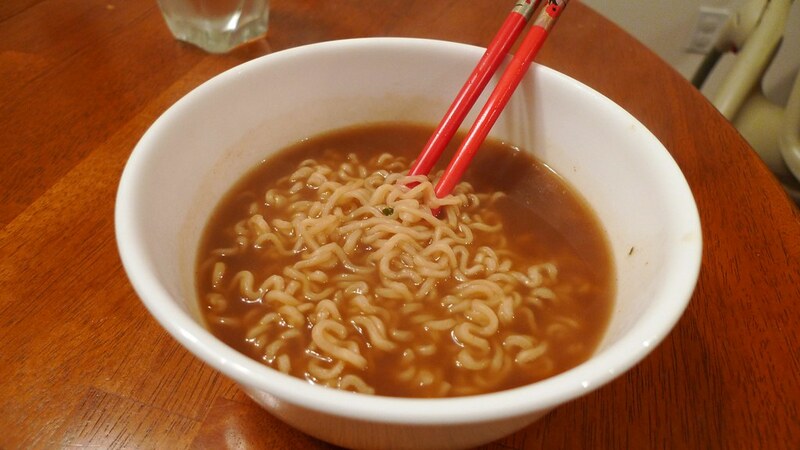 Beef Top Ramen in a bowl and ready to be served. While I think the flavor is good, it still doesn't taste very beefy to me. If you look at the ingredients, the only natural beef flavor comes from beef fat. Other than that, it's mostly spices and soy sauce that's flavoring the base. I find the beef flavor to be similar to the oriental one, but with a touch of beef. Because of all this, I usually don't mind adding poultry meats like chicken and turkey to the soup. And as always, cayenne is a must! Up close look at the soup. 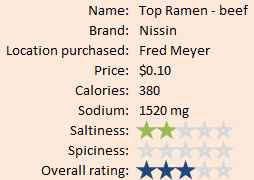 The plus side to the beef flavor is that it has the least amount of sodium compared to the other two main flavors. It's not a huge difference compared to oriental, but huge one compared to chicken. Julie enjoys this flavor probably just as much as her daddy.